2018 has been a year of rapid growth and milestones for the community. 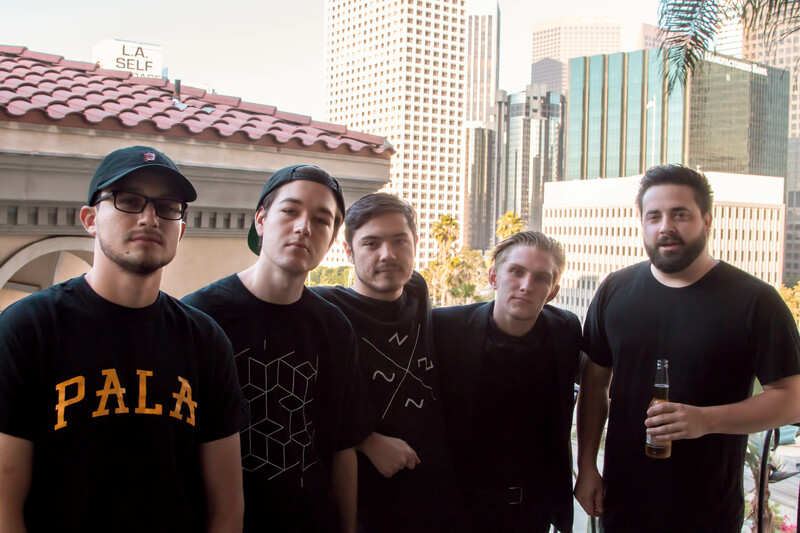 Newly formed labels making their presence known, debut releases from incredibly talented producers, and the long nights spent perfecting one’s sound paying off with the reward of playing your own music live in front of an audience. Which brings us neatly to the June 8th show at Union club in LA. 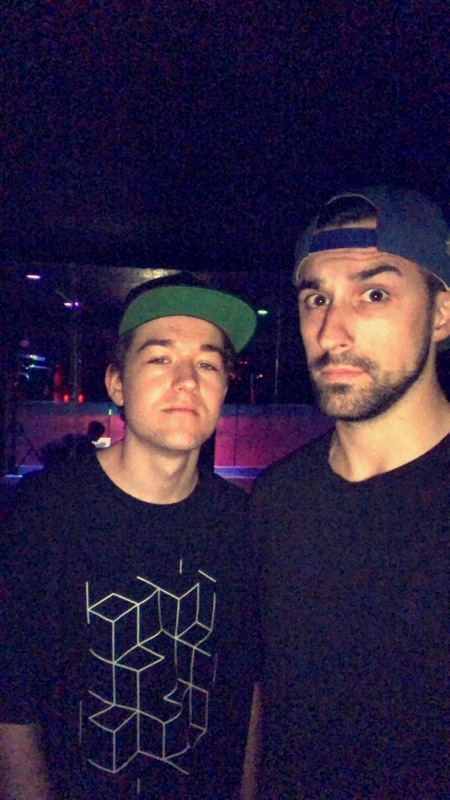 Where talented and aspiring producers Sysdemes and Blind5pider played their debut gigs alongside Mau5trap heavyweights Heyz and Julian Gray. I was unable to attend this night of epic firsts and unreleased gems, but our good friend Garrett Finn, aka Rhyot, went to support the cause. I caught up with him after the show to hear about his journey and how the night went so you (the reader) could vicariously enjoy the show from the comfort of where you are now. Hanz Ford: So Garret, how was the journey to the show, I heard it was a bit of a trek for you. Due to Garret arriving at the airport less than 45 minutes to takeoff he had to do a bit of sweet-talking to check in. 4500 miles or 7242 kms later and our friend is enjoying the Hollywood strip, counting down the hours for the main event of his journey. As the sun sets and night fades in, the doors open to that in which so many of us reading would have loved to enter through. Union club. I was eager to hear what Garret had to say and in his words. G: … and then Sysdemes, who had a more comfortable performance than debuts I’ve seen from some in currently higher places. The highlight of the night for me was hearing an hour of music that was new to my ears from one of my favorite producers, (it’s why we signed the dude, he makes great stuff that invokes a lot of energy in different ways from an audience). It was awesome being there, to watch him share this music with people. The set was wonderfully arranged, beginning heavier to carry off from Heyz, and ending with a super lengthy twisting and emotional downtempo electronica ID. It was very much worth going. HF: How long have you been DJing and producing and where did you link up with Julian? B: The best feeling in the world to play YOUR music live to a crowd. Seeing people dance to your music is pretty sweet. That night at the Heyz show i played 6 originals and one remix. Never in a million years I would think I would be creating my own music and playing it live. Spoken like someone who cherished every second of the night. Storing the memory in the realms of the mind, where a path of moments and devotion lead to its creation. When asked what he would like to improve on for the next time he finds himself in front of a crowd, he said that he would like to “play more originals”, having left out two songs that weren’t ready yet. Look forward to seeing what lies ahead for this guy! 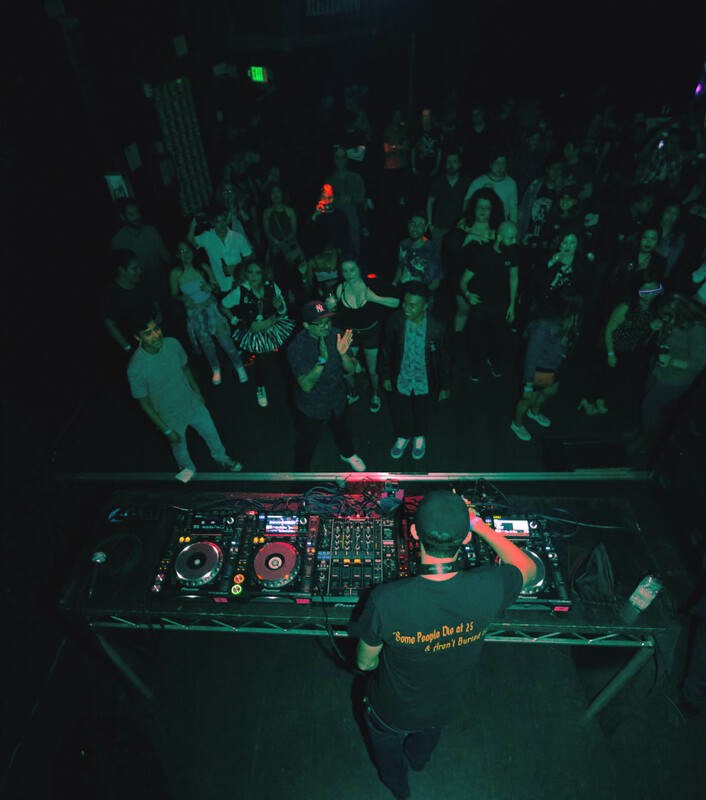 The room was warmed up and ready for the progress-o sounds of Julian Gray, and the heavy techno vibes spun by the one and only Heyz. Julian Gray is becoming a house-hold name, and was the guest on Episode 5 of the Podcast. In talking with him then I could feel how excited and passionate he is about music and media, a shining example of hard work and determination paying off. Julian Gray: The night went incredible! A lot of preparation went into it from all parties, and I’m glad it went smoothly. All the artists absolutely killed their sets. I’m very fortunate to have been a part. The main act of the night was Heyz, and from what I was told, he had a crushing set! Who could expect less from a producer with something like his colossal Schedule 1 EP in the arsenal. 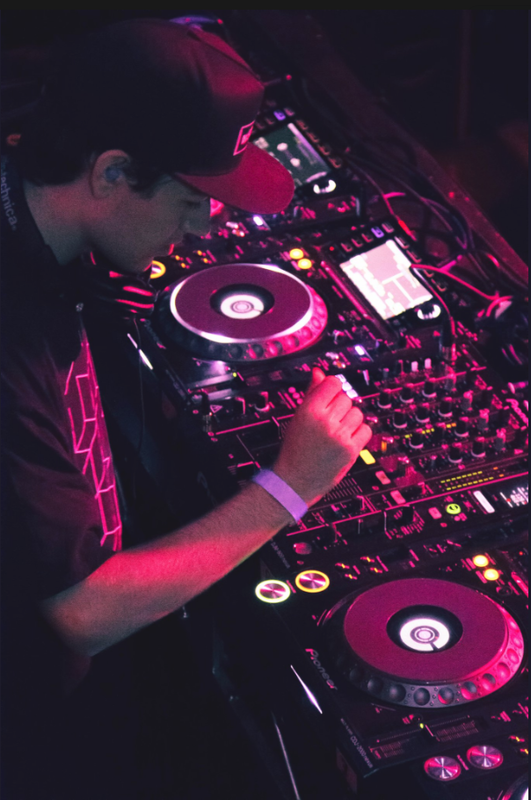 “Beauty & Power” is how he describes his music and videos of past performances relay a message that Heyz hits hard with techno when he gets behind the decks, and this night was no different. Sysdemes tells me the crowd was pumped to see him play, and ending his set with some acid house tracks really crowned the set. 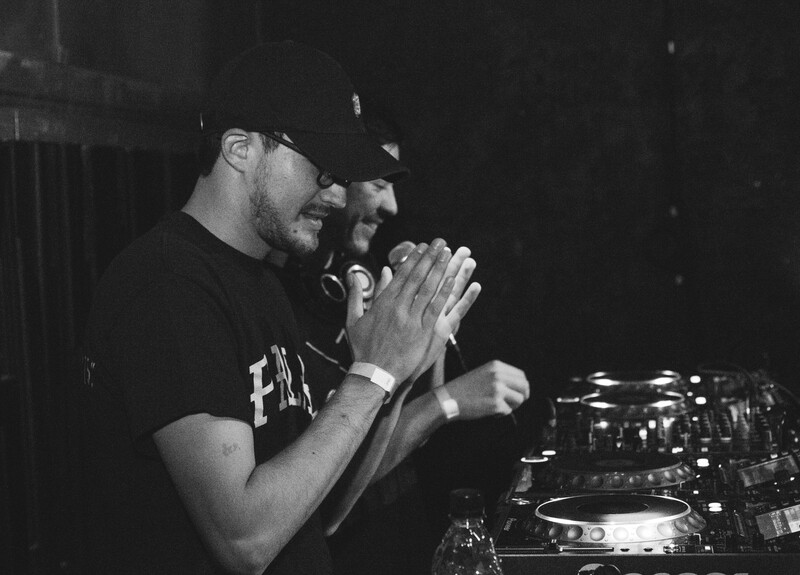 Heyz is definitly on my list of Djs to see, hopefully one of these days the write up will be written in first person. As Heyz played out his last track, it was our good friend Sysdemes next up to bat. Long hours spent and snack foods ingested while locked into the zone, as the brilliance flows from mind to DAW, all leading to this day. HF: So Sysdemes, how did you prepare for the show? Sysdemes: I started preparing my set with the goal of playing as many originals as possible. I always admired artists that played as much of their own music as possible, and wanted to follow in those footsteps. Basically for the three months leading up to my set I was making the tracks I was going to play. I even played a track I made the night before. The other thing I did to prepare was I made club edits, longer drum intros and outros to make mixing easier, and arranged the tracks so there would be no awkward key changes. Much time spent preparing, grinding every midi note to perfection. Some take months, some take weeks to finish a club worthy track, Sysdemes was able to make one, 24 hours before the show. To some that might seem a bit ill-prepared, but to those who know him know he is efficient with production, and works best under pressure. HF: And how did you feel the night went? S: I learned to make sure tempo lock is turned off! ( Lol) For real though, I learned that mistakes are no big deal and to just keep playing. As nervous as I was to play it all went away once I got up on stage, so I know that I can play shows now. Before I wasn’t sure if I could handle it because I’m pretty introverted. “Mistakes are no big deal and to just keep playing” I think are words of wisdom one can apply to life itself. To hear our friend feel at home once getting behind the decks is an encouraging sign, one i think we all should pay close attention to. As with all of the artists on that night’s venue, I think we are all witnessing the birth of bright futures. Make sure to find these guys on their socials and to follow them! They all have big things planned.